Two perfectly matched cotton/lycra jersey knits combine in one diaper. Aqua and white stripes pair with aqua and white chevron for great look! The pictures are representative of the print (made into a size Small/Medium Hidden-PUL AI2), but your specific item may look slightly different. 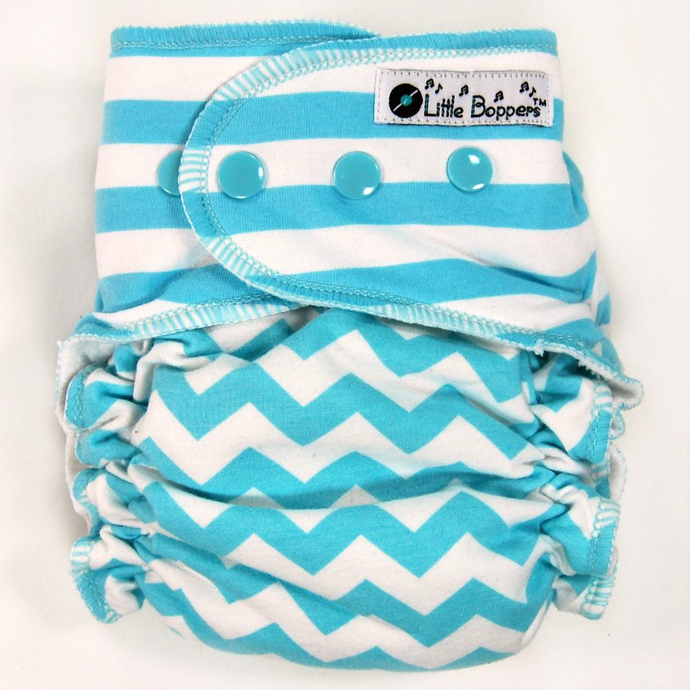 These diapers (and covers) are all Made-to-Order especially for your baby. There are TWO drop-down menus that you must make selections from (select your Size AND select your desired Type of product). The price adjusts based on your size and type selections. After checkout, your items will be made in the order in which they were received. US shipping is FREE! - or choose One Size (10-35+ lbs) that includes a fold-down rise and adjustable soaker. 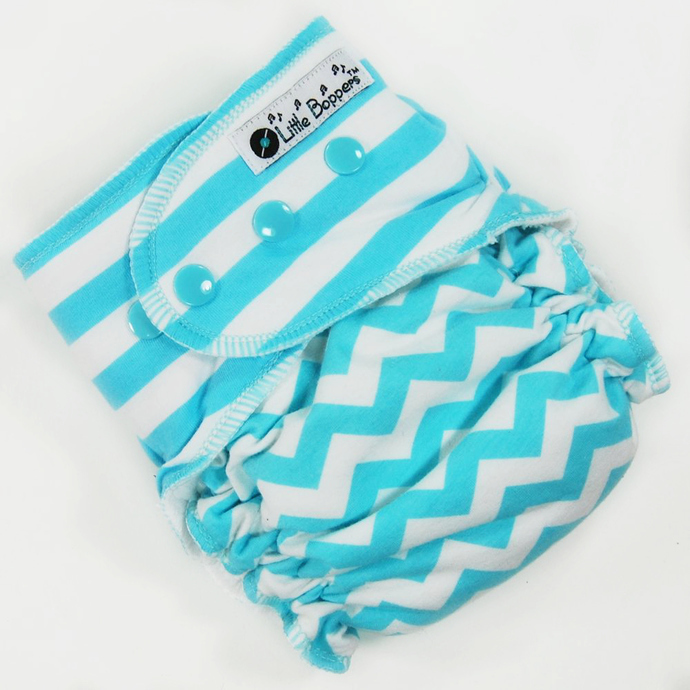 - or Wind Pro Cover (a waterproof diaper cover with breathable Wind Pro fleece to be worn OVER a separate diaper). All products are Made-to-Order, in the order in which they were received. Most orders ship within 3 weeks of purchase. You may check on the status of your order at any time by emailing anne@littleboppers.com. 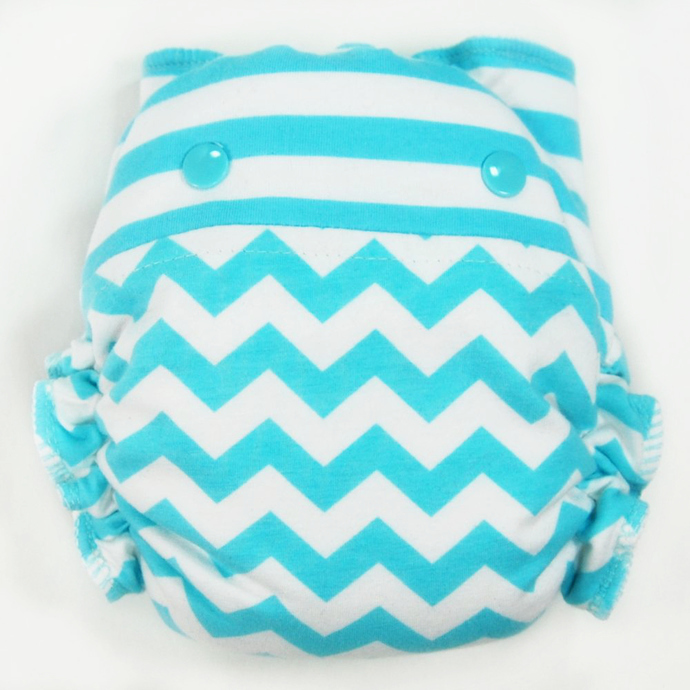 What Type of cloth diapering product are you looking for? 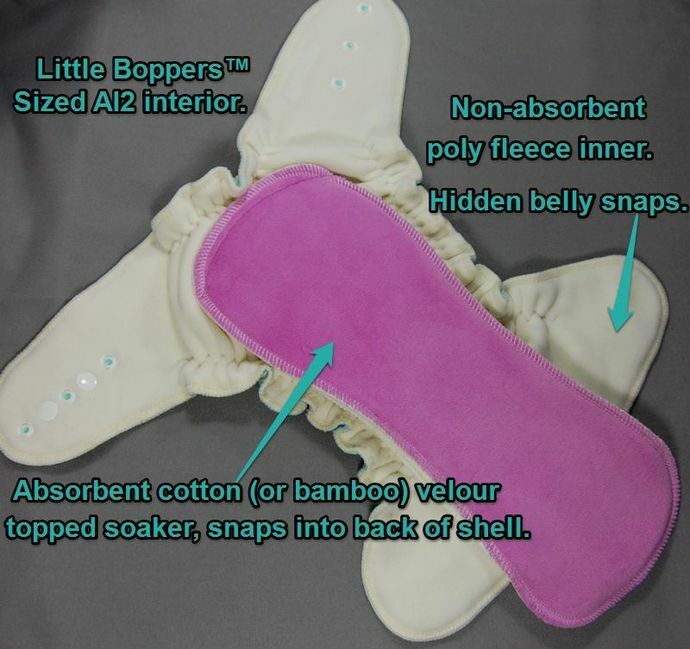 Little Boppers products are available in two kinds of AI2 (Hidden-PUL or Wind Pro), two kinds of Fitteds (Hybrid or Traditional), and in two kinds of Covers (Hidden-PUL or Wind Pro). If you're interested in seeing pictures of how the different sizes fit, I maintain a modeling gallery at: http://littleboppers.info/gallery.php?T=gallery_store&VS=1 There you can view babies and toddlers of various ages, shapes, and sizes wearing the different sizes and styles I offer. Use the drop-down menu near the top to move between the albums.